The following incident report was written by a community member who has been trained by KHRG to monitor human rights abuses. 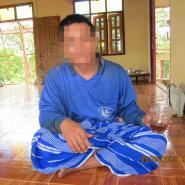 The community member described an incident that occurred on April 27th 2013 in Myaing Gyi Ngu town. U H---, the victims’ grandfather and witness to the incident, provided the information. He described how a stray bullet from fighting between the DKBA and BGF Battalion #1014 entered his house and hit his two grandchildren, one year and 6-month-old Naw S--- and 20-day-old Saw L---, while the siblings were sleeping and the elders had left the house to ascertain what was happening after hearing gunshots. U H--- spent 400,000 kyat (US $409.42) to cure his grandchildren, but the BGF operation commander, Major General Maung Maung, only supported him with 30,000 kyat (US $30.71). The following incident report is presented below translated exactly as originally written, save for minor edits for clarity and security. This report was received along with other information from Hpa-an District, including five other incident reports, 12 interviews, one situation update and 38 photographs. As a KHRG community member, as soon as I heard about this news, I went to T--- village where U H--- lives and I interviewed him. I interviewed him because he is S--- [the victim's] grandfather and the bullet exploded in his own house. Therefore, I interviewed U H--- about the abuse. On April 26th and 27th 2013, fighting occurred and there were some people who got injured from the fighting. The place where the fighting happened is D--- Section, Myaing Gyi Ngu, Hlaing Bwe Township, Hpa-an District. 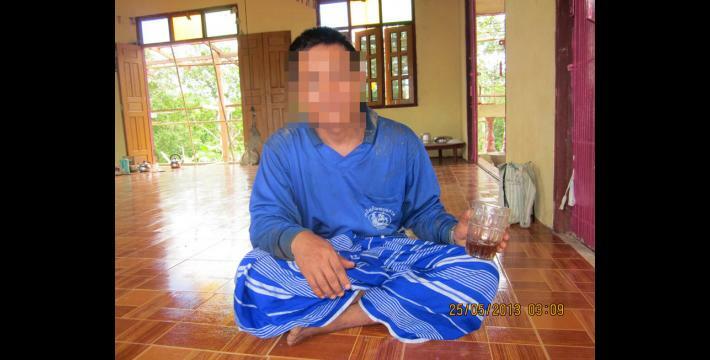 The fighting happened between the DKBA [Democratic Karen Benevolent Army], which is led by Bo Bee and the BGF [Border Guard Force], led by Bo Chit Thu. They attacked each other in Myaing Gyi Ngu town. The people who got injured from the fighting are Naw S---, who is one year and six months old, and Saw L---, who is 20 days-old. The two children got injured while they were sleeping inside the house during the fighting. The elders went outside of the house to check the situation after hearing the sound of the gun and, at that time, a bullet went into the house from the roof, which landed exactly in the room where the children were sleeping. We are not sure if the bullet belonged to the DKBA or BGF. Because of the bullet, the two siblings, Naw S--- and Saw L---, were injured. Naw S--- was injured on her head and her ear, which left a hole. She also got two wounds on her back from being slightly hit by a piece of the bullet. Saw L--- got hit on his face and his calf. In order for his grandchildren’s injuries to be healed, U H--- went to Hpa-an Hospital, which cost him 400,000 kyat (US $409.42). The Major General Maung Maung, one of the BGF operations commanders, supported him with 30,000 kyat (US $30.71). Now, the children’s injuries are healed completely. U H--- allowed us to use this information as it is needed. KHRG incident reports are written or gathered by community members in Hpa-an District who have been trained by KHRG to monitor human rights conditions. KHRG trains community members in eastern Burma to document individual incidents of abuse using a standardised reporting format; conduct interviews with other villagers; and write general updates on the situation in areas with which they are familiar. When writing incident reports, community members are encouraged to document incidents of abuse that they consider to be important, by verifying information from multiple sources, assessing for potential biases and comparing to local trends. Border Guard Force (BGF) battalions of the Tatmadaw were established in 2010, and they are composed mostly of soldiers from former non-state armed groups, such as older constellations of the DKBA, which have formalised ceasefire agreements with the Burmese government and agreed to transform into battalions within the Tatmadaw. BGF battalions are assigned four digit battalion numbers, whereas regular Tatmadaw infantry or light infantry battalions are identified by two or three-digit battalion numbers. For more information, see “DKBA officially becomes Border Guard Force” Democratic Voice of Burma, August 2010, and, “Exploitation and recruitment under the DKBA in Pa’an District,” KHRG, June 2009. As of July 30th 2013, all conversion estimates for the Kyat in this report are based on the official market rate of 977 kyat to the US $1.